Yes, we do have ice machines in Antarctica. We have one in every dorm and a few in the galley. The plane is finally coming in today. The second invasion is about to begin. 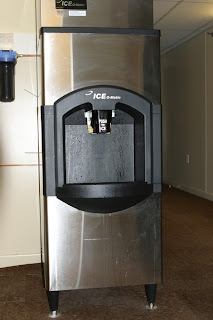 One of my grantees loves to say, "The most amazing thing about Antarctica is the number of ice machines per capita." It is pretty ironic.